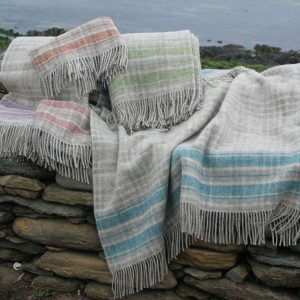 Unusual and hand-made; we use our hand-dyed fleece to create individual designs inspired by the Orkney landscape, flora and seaweeds. These mats resist liquid and food stains as the felt is so dense – resulting in a surface that is easy to wipe clean but is a natural product that prevents heat from damaging your table. 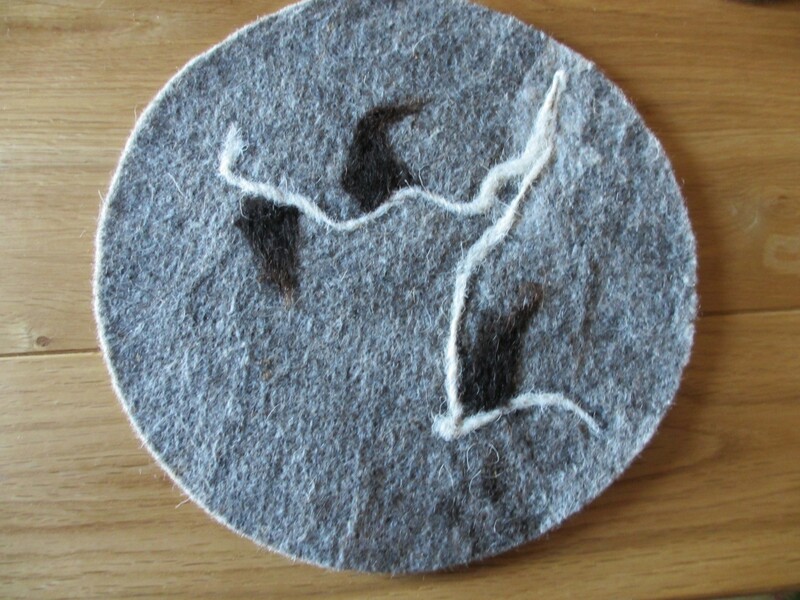 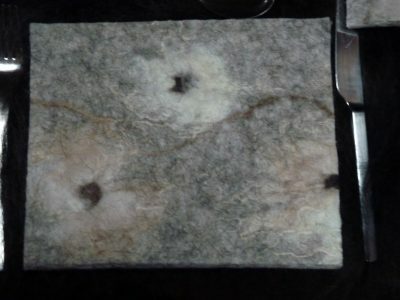 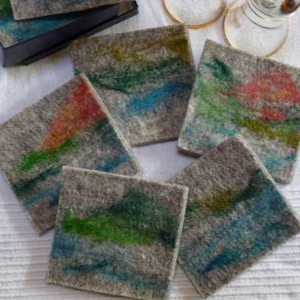 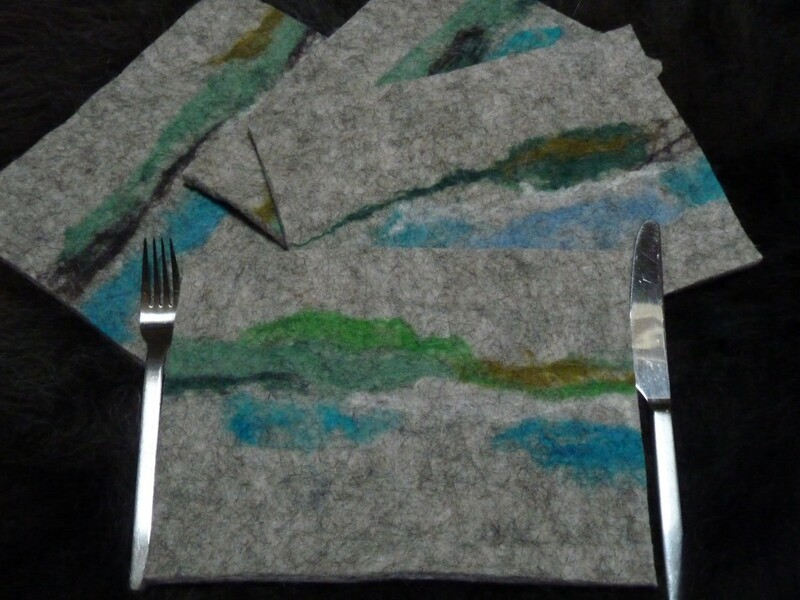 Felted table mats are boxed in sets of 4 with matching coasters or 4 without coasters. 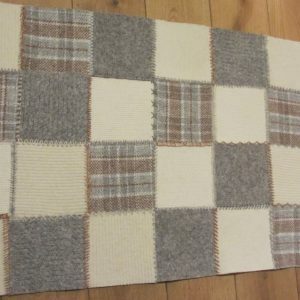 This product can be washed on a wool wash. Our mats are rectangular as standard but round ones can be made to order.